LOS ANGELES Robert Rodriguez, 28, was located and interviewed by detectives on Friday night. Rodriguez is no longer considered a suspect in the case involving Rodriguez's girlfriend and her two children. The LAPD Juvenile Division held a Friday afternoon news conference to discuss the search for the couple. At the press conference, Los Angeles Police detectives asked for the public's help in locating Yanira Lozano, 24, and Rodriguez. Investigators say Lozano, went to her mother's home in North Hills several days ago and brought her 6-year-old son. The son had not met the grandmother, according to authorities, until that meeting. Lozano left her son with his grandmother. The next day Lozano's boyfriend, 28-year-old Rodriguez, brought false documents giving Lozano's mother custody of the 6-year-old. The investigation revealed that Lozano and Rodriguez have tried to give up the boy to other relatives in the past. Authorities say the boy had several unexplained injuries. So they have launched a child abuse investigation. Lozano and Rodriquez had allegedly been living in their van in the North Hills area for some time. Investigators say they had not turned up at any of the locations they normally frequent and that they had a 2-year-old boy with them. The 2-year-old is Lozano's son. Although Rodriguez has been located, there is no word on whether Lozano has been found. 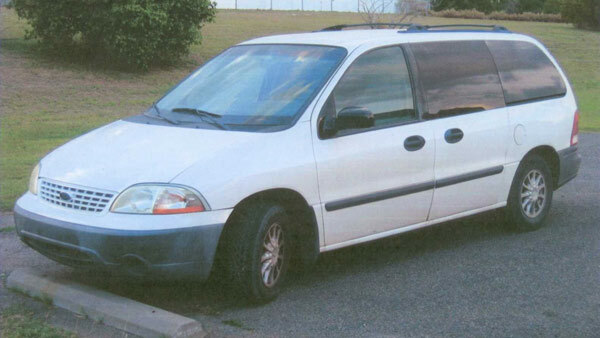 The vehicle Lozano and Rodriguez had been living in was described as a white Ford Windstar, with a possible California license plate 6FMQ312. 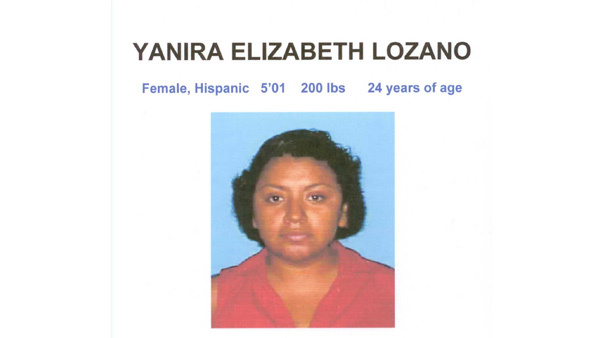 Lozano is described as a Hispanic female, 5' 1", weighing approximately 200 lbs. The 6-year-old boy has been released to relatives and is doing fine, said investigators. Authorities have not pressed charges, but they are investigating possible child abuse. Authorities said they will not know exactly what happened to the 6-year-old until they speak to his parents. In addition, authorities were concerned for the well-being of the 2-year-old who is believed to be with the Lozano. LAPD investigators said Child Protective Services is working with them on this case. They also said Child Services has been called in reference to this family in the past. Investigators believe Yanira Lozano has a criminal history of forgery. This investigation does not warrant an Amber Alert, according to authorities. However, they are calling on the public for assistance. If you have any information you are asked to call (877) LAPD-24-7, or (877) 537-3247.